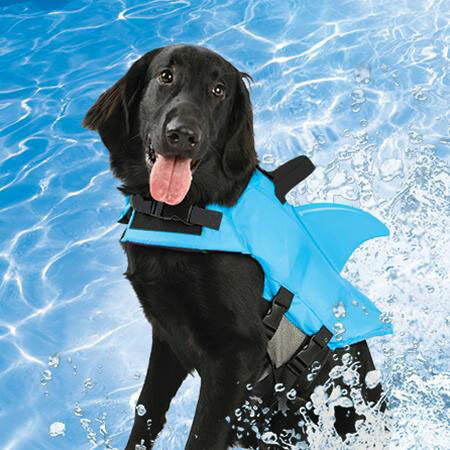 Just when you thought it was safe to let your dog to play in the water (will the Jaws paraphrasing never end?). . . This cute sea-blue jacket comes with a shark dorsal fin attached to the back. 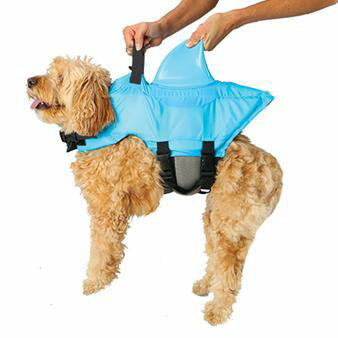 It provides full-body flotation support and comes with a handle to help you control you dog if things get dangerous. There is also a D-ring on the back of the jacket so that you can attach a leash for land wear. The jacket is constructed of heavy-duty Neoprene and comes in small and medium. Check the link below for sizing information. Once your dog is properly kitted out both you and your dog can be assured of safe water play. 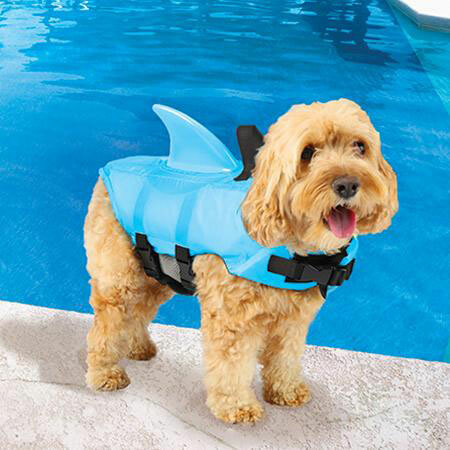 If your dog needs a larger size, well, you're gonna need a bigger coat.